According to my trainer, I am “out horsed.” Lessons in Leadership from the Ground Up is a peek into the pages of my personal diary as we make this journey together. I hope you will join us along the way. Fortunato’s story changed the day he arrived at Meadow Haven Horse Rescue. Dondi Scumaci, Inc. is proud to be a sponsor. 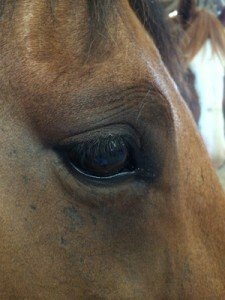 I invite you to learn more about the remarkable work they do saving horses.